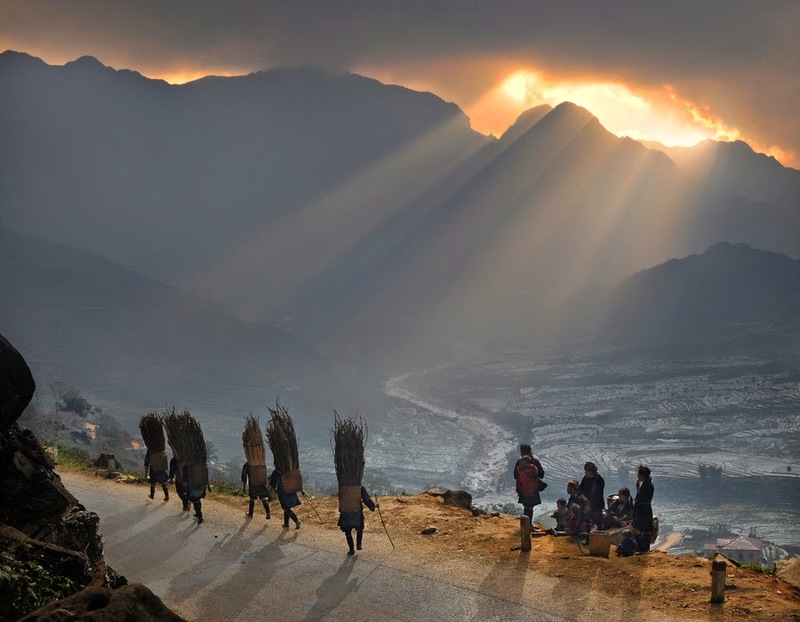 Sapa is renowned for its phenomenal trekking Vietnam. Hills stretch into the clouds and valleys plummet to the floor with such speed and force that it is hard to imagine how people manage to live off the land. Yet, as far as the eye can see, steps of rice paddy fields stretch across these astounding gradients with such precision and innovation that could only have been created by the resilient Vietnamese. 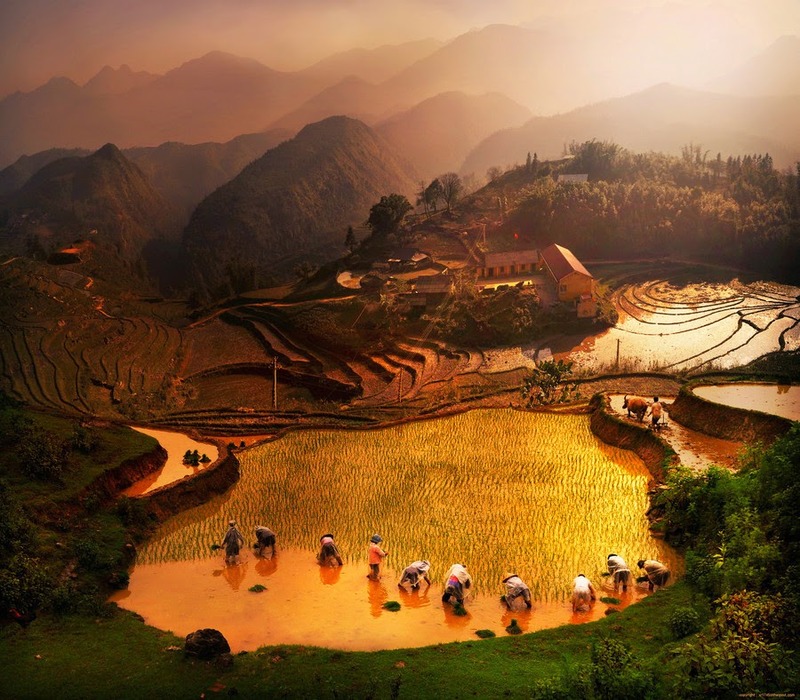 The rice field hills are an awe inspiring spectacle only to be broken by the occasional waterfall, nestle of jungle or bamboo forest, making it the ideal place to go trekking Sapa. But unfortunately, like so many wonderful parts of the world, it has become very cramped with tourists and subsequently hagglers and other annoying quirks that follow the industry. Sadly it is very easy to go to Sapa and have a very shallow experience, superficially coated with unauthentic tourist fluff instead of the real deal. Here are a few tricks to make sure you have an authentic trekking experience. There is no better way to understand someone else’s culture than to be invited into their home for a night. And the fascinating minority tribes of the Sapa region are no exception. You won’t get a toilet but if you’re happy to squat behind the bamboo you will not only get a loo with a spectacular view but you will have a much more exciting story to tell when you get back home. The bed will be warm, hard but warm, and the food will be fantastic. So keep an open mind and learn what it is like to survive on the hills of Sapa. From rain, to heat , to freezing conditions. Make sure your overnight bag has it all. Of course it depends on what time of year you go as the weather does vary – but even though the days may be warm and sunny the temperatures can drop at night to extremely cold conditions. Make sure you have a clean set of clothes to sleep in as it is highly likely that everything from your socks to your t-shirt will be caked in mud by the time you have finished your first day of trekking and throw in a waterproof jacket or umbrella in case it suddenly decides to rain. Then it’s all the usual; torch, toilet paper, camera, water.